I’m overwhelmed with happiness after I saw my Google analytics report today. 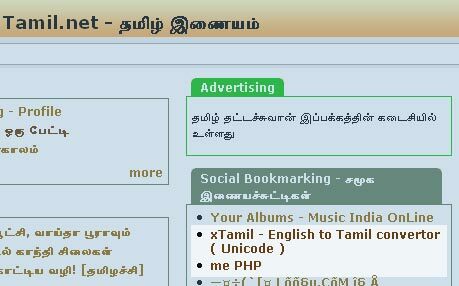 This blog and the new tool which I wrote xTamil - English to Tamil convertor (Unicode) are linked in a Tamil portal site Tamil.net. They also list numerous no. of phonetic English to Tamil Unicode convertor, I promise you all that my tool will be unique after the completion (will take a month or two). I would like to thank all of my friends for their encouragement. And also for the guys out there in Tamil.net for posting my tool in their site.